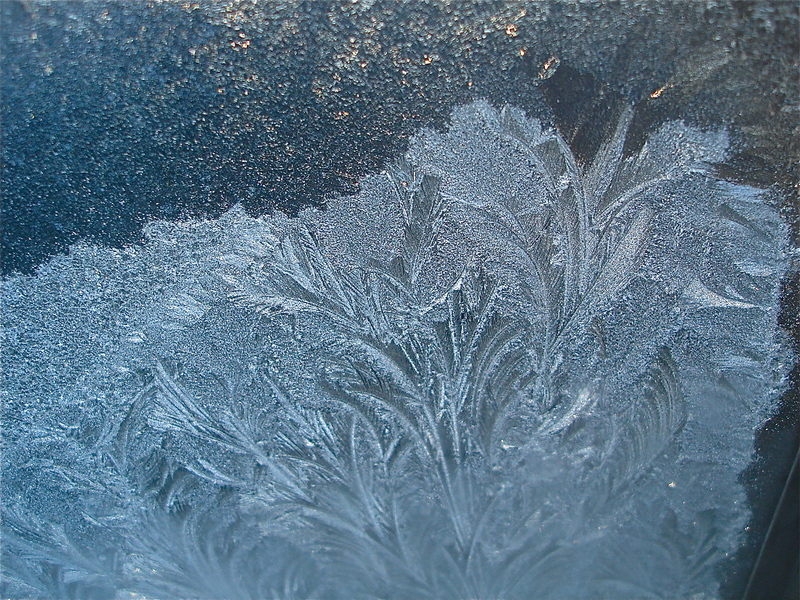 Beautiful crystals on the Cold House windows. Nicer than diamonds. My humble opinion. This entry was posted on December 20, 2009 at 9:17 pm and is filed under Uncategorized. You can follow any responses to this entry through the RSS 2.0 feed. You can leave a response, or trackback from your own site. Not entirely sure that J would concur with your analysis…. 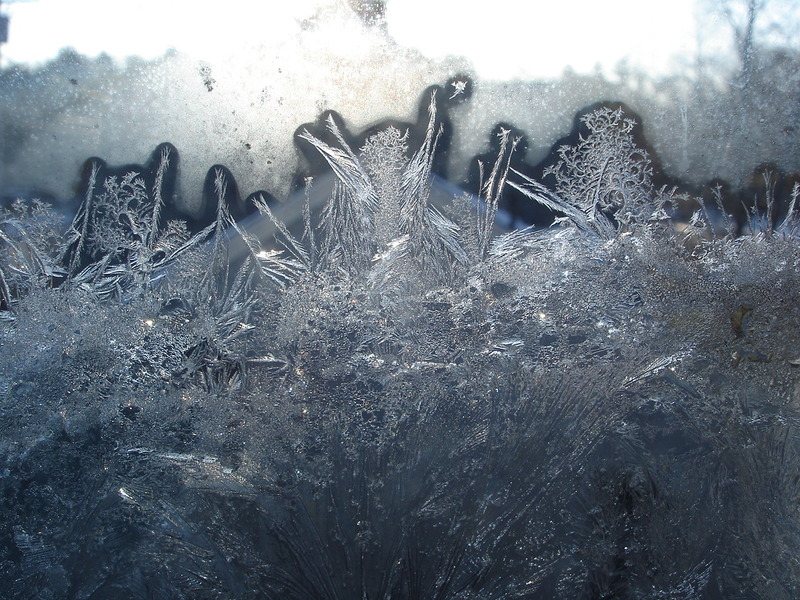 Pretty, but a sign of an uninsulated window. I only get frost on my car windows, and then only if there’s too much moisture in the car. I kind of miss frost patterns, but I like having insulated windows. Yes and no… depends how cold your house is! 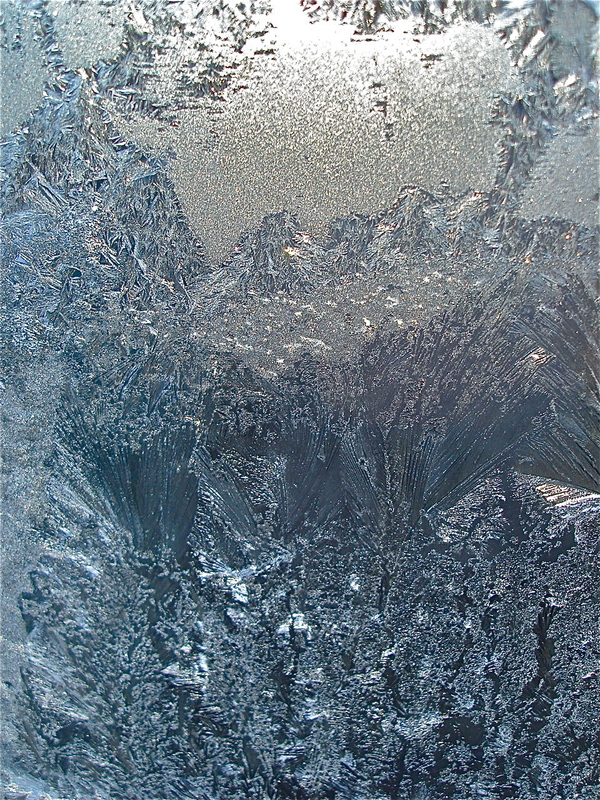 Those crystals aren’t on the inside panes– they’re on the storm window panes. But, they disappear (melt) at the odd moments that a room gets up to 65º or so. Which I take to be a sign of too much heat! We could spend many, many thousands of dollars on new latest-and-greatest windows, but at the temps we’ve become accustomed to living at, I think it would take at least a decade, or more, for them to pay for themselves.